FIFA sponsors, including Visa and Coca-Cola, have welcomed Sepp Blatter’s unexpected resignation as president of the association, but repeated their warnings to reassess sponsorship contracts unless corruption in FIFA is tackled. “We are encouraged by the recognition by FIFA that extensive and fundamental reform is needed as reflected by the announcement that President Blatter is resigning and that FIFA will be undergoing a ‘profound overhaul’. This is a significant first step towards rebuilding public trust, but more work lies ahead,”VisasaidTuesday. That opinion was echoed by Coca-Cola, which said the resignation was a positive move, adding that the corruption charges linked to FIFA have eclipsed the game and detracted players and fans from it. FIFA is expected to act urgently and "win back the trust of all who love the sport of football," the beverage producer said. On Tuesday, FIFA president Sepp Blatter announced he would be stepping down from his post, despite being reelected Friday after his opponent, Prince Ali bin Hussein of Jordan, conceded. Adidas, Coca-Cola, Visa, Gazprom, Hyundai and its Kia Motors Corp. affiliate are major FIFA partners for the 2018 World Cup in Russia, with Anheuser-Busch InBev’s Budweiser and McDonald’s as second-tier sponsors of the World Cup. Last week, Visa said it would reassess its sponsorship contract with FIFA if the latter didn’t take immediate actions to remedy its reputation, which has been undermined by the corruption charges. Many other sponsors, including Coca-Cola, Adidas and McDonald’s, said they could follow their lead. Russian gas monopoly Gazprom, however, said the deadlock at FIFA had no impact on its sponsorship agreement with the company. 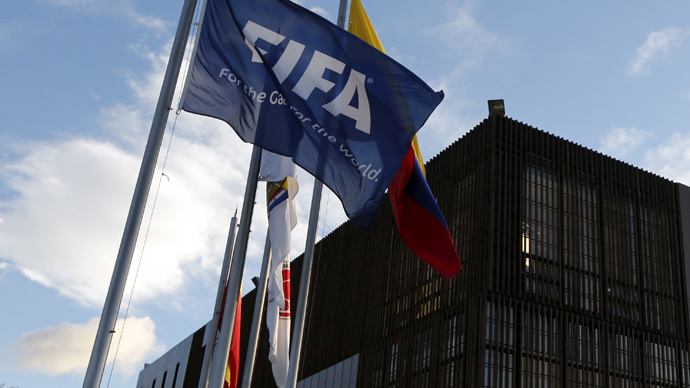 William Hill, one of the largest bookmakers in the United Kingdom, last week placed a bet about which company would be the first to cancel its sponsorship deal with FIFA following the arrests. Visa was the even money favorite to withdraw sponsorship first, with Coca Cola, at 3/1, second favorite. Adidas and McDonalds came next at 4/1 and 6/1. Gazprom was the least probable to leave FIFA with 16/1 odds. Later, the bookmaker removed the event from its website. Seven senior FIFA officials were detained last week in Zurich at the request of the FBI, and they are accused of systematically paying and agreeing to pay over $150 million in bribes and kickbacks since the early 1990s.